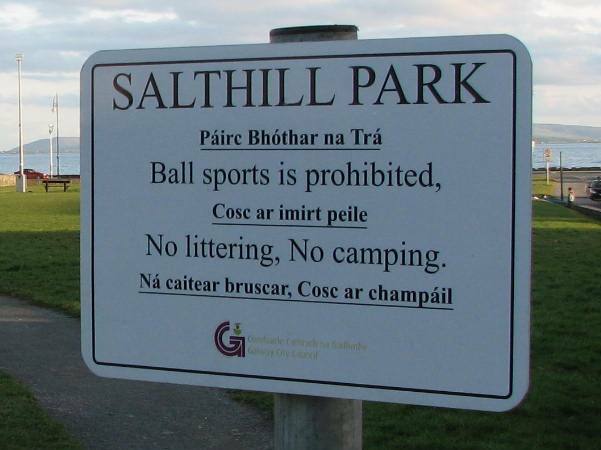 I should know better than to be surprised by the language used on signs, but the phrase “Ball sports is prohibited” struck me as a remarkable singularisation. Did the parties responsible start with “The playing of ball sports…” before deciding to reduce the word count? Whatever the explanation, at least this time there’s a minimum of gobbledegook. Forum has three main meanings. 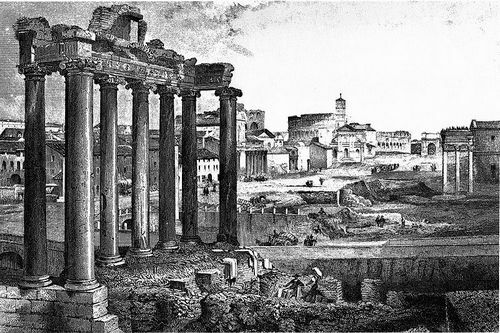 There is the everyday sense — a place or medium for public discussion and the open exchange of ideas; the legal sense — a court of law, tribunal, or other legal assembly; and the historical sense — a marketplace or other public arena in ancient Roman cities, where civic, commercial and judicial activities were conducted. The first sense includes online discussion forums. Several of these have featured discussions about the correct plural of forum itself — is it forums or fora? — as have some language blogs and other sites. Latin plurals are evidently a popular topic. Some of the commentary is sensible and even-handed, but some comprises simple repudiation of one plural form or the other (e.g. ‘The plural of “forum” is FORA since it’s a Latin word. […] Sorry to be pedantic, but that’s the English language for you’). So a little clarification seems to be in order. Fora in the everyday sense of forum is not incorrect, but some readers might find it fussy or pretentious, and usage commentators disagree over its suitability. Don Watson considers it “archaic”. All three editions of Fowler’s report that the plural occurs only as forums. (This, however, is demonstrably wrong.) Kenneth G. Wilson, in The Columbia Guide to Standard American English, lists both forms as standard. Bryan Garner takes an intermediate position, describing forums as “preferred” and fora as “pedantic”. The English language is inconsistent in its pluralisation of Latin words. Of those ending in -um, some retain the Latin endings (bacterium → bacteria; quantum → quanta; stratum → strata; ovum → ova; desideratum → desiderata); others, being more Anglicised, generally take the English -s (albums, asylums, museums, gymnasiums, crematoriums, premiums); while some commonly take either, depending on context or personal preference (atriums or atria; aquariums or aquaria; compendiums or compendia; podiums or podia). In summary: fora is not wrong, but unless you’re writing about law or Roman history, you’re better off using forums. Foras is wrong. See also: Data is data, or are they? The indefinite pronouns no one and nobody are largely interchangeable. Garner (1998) notes that no one is more formal and literary, a judgement supported by this corpus analysis. Both terms, however, are apt to appear without controversy in almost any kind of writing. No one, meaning no person, is spelt with two words. The hyphenated no-one is a common variant, especially in informal contexts, though it is less to my taste than the traditional two-worded form. The diaeretic noöne is unlikely to enter common usage. 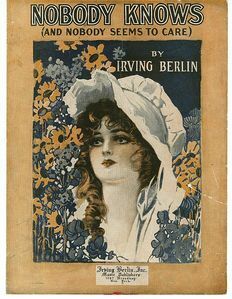 The practice of writing no one as noone may have resulted from its virtual synonymity with the one-worded nobody; from its connection to the similarly unified everyone, anyone and someone; or from the tendency for the morphology of many compound words to go from A B to A-B to AB. Noone is a decidedly strange spelling of no one. To my eyes, today, it is wrong, but no one can say for sure what usage will be accepted in 50 years’ time. Noone implies the monosyllabic pronunciation /nuːn/, especially to non-native speakers of English. (Mind you, I have yet to hear anyone mispronounce cooperate.) Searches for ‘noone’ on Bartleby.com turned up a small number of results, all of them the archaic spelling of noon. Noone loves me, but I have my eye on Sullivan. Noone saw Noone leave the room. Noone was behind the tree, so I discreetly relieved myself before rejoining the others. Now, a few notes on usage. Indefinite pronouns (no one, everyone, anybody, etc.) usually take singular verbs but can be referred to by singular or plural pronouns (they, them, their). If you follow an indefinite pronoun with a plural pronoun, you scupper notional agreement (aka ‘concord’), but you avoid awkward constructions such as s/he and his or her, as well as the accusations of sexism habitually slung at the notoriously gender-specific he, his and him. Sometimes the singular form will be called for, and it is preferred by some writers, but there is nothing grammatically wrong with the plural. This last quote is cited in The Merriam-Webster Dictionary of English Usage, which adds that Byron’s ‘Nobody here’ could only have meant males. Yet he opted for genderless they, and it seems altogether natural and sensible. Elsewhere, MWDEU states that ‘the plural they, their, them with an indefinite pronoun as referent is in common standard use’. Writing about any, anyone and anybody, Robert Burchfield points out that ‘popular usage and historical precedent favour the use of a plural pronoun’. In adopting the singular use of ‘plural’ they, Byron is in good company. So, would you write ‘No one in their right mind’, ‘No one in his right mind’, ‘No one in her right mind’, ‘No one in his or her right mind’, ‘No one in zer right mind’, or what? My advice is to approach these options with an open mind; to be aware of, but not cowed by, those who decry singular-they constructions; and to let context, meaning and good sense guide your decision. Plurals of acronyms, abbreviations, initialisms and single letters do not usually take apostrophes. Guidance on this issue is not unanimous, but some general advice can be consistently applied, and may help resolve some of the widespread confusion that seems to be generating even more widespread confusion. Pictured is a screenshot from Twitter, taken a few months ago, showing popular subjects or “Trending Topics”. The vast numbers of people using Twitter means that for a subject to become a “Trending Topic”, it needs to be mentioned a great deal. Because the software distinguishes between two words that are identical apart from the presence or absence of an apostrophe, both “SATs” and “SAT’s” have the potential to appear concurrently in the list, as indeed they did. Evidently, both forms are widely used. My preference is for “SATs”, and I would consider “SAT’s” ill-advised, because such apostrophes are largely unnecessary and potentially confusing. Data is data, or are they? The short answer: data can be singular or plural. In some formal and technical contexts the plural form is preferred, but the singular form is increasingly common and is fully standard. In most contexts you can write these data or this data, data are or data is, and so on. Several map datums were erroneous, which threw the hikers off-track. The meaning of the derived plural data has changed somewhat over the centuries. The OED definition from the late 19thC (‘Facts, esp. numerical facts, collected together for reference or information’) seems to testify to the broadening influence of the hard sciences. 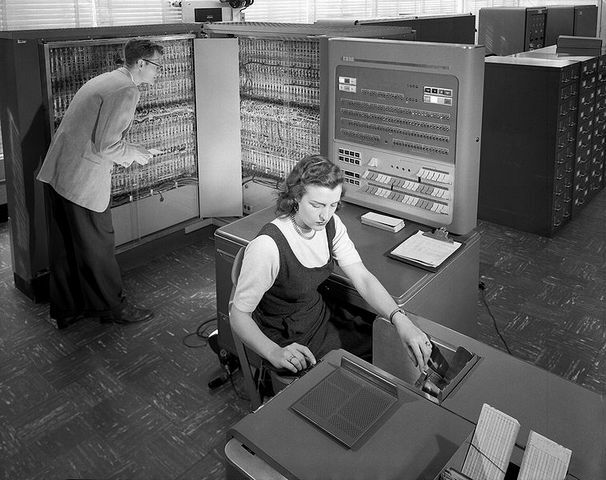 In the 20thC the rapidly expanding fields of information technology incorporated the word into a huge variety of computer-related compound nouns, such as database, data entry, data flow, data mining, data processing, data protection, and data stream. Few non-specialists who use the word data think of it as the plural of datum. Similarly, agenda has taken on a singular life of its own, distinct from the near-obsolete agendum, and has given rise to the standard plural agendas. Consider also media (from medium), criteria (criterion), graffiti (graffito), and stamina (stamen). All of these plurals have varying degrees of acceptance and acceptability. Agendas may be common and standard, but medias, datas and criterias are not – at least, not much and not yet. A note of advice: try to be internally consistent, and be mindful of context. Sometimes one form is preferred: for example, most publishers have a house style to which your text must conform. Even in reputable publications, however, usage is mixed, and discrepancies can result in editorial mix-ups, as Merriam-Webster has shown. Readers who cling to the Latin origins of data may protest the singular form on principle, but this gripe is misguided. I should know: the singular form used to grate on me, but I wised up. This is quite a long and technical post so I have divided it into three sections (What; Which and why; So) and have included a lot of examples. Nouns of multitude are wholes that comprise similar parts. They are a type of collective noun; examples include committee, team, government, jury, Ministry, army, group, party, crowd, flock, generation, mob, staff, department, family, crew, clergy, herd, syndicate, faculty, audience, public, company, Congress, orchestra, firm, and Parliament. There is confusion over whether nouns of multitude are singular (the collective entity) or plural (the individuals in it). In fact they are both, or rather they can be either. This ambiguity means that there are better and worse ways to use them – but there is no definitive right and wrong way. To tease out the details we must look more closely at how they are used. From: Ireland crowned grand slam champions, RTÉ News, 21 March 2009. 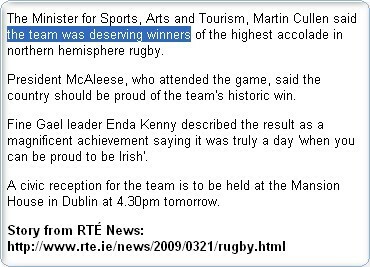 The Minister’s original statement (“They are deserving winners…”) was fine; RTÉ introduced the incongruence of making team both singular and plural in the same clause. So if a noun of multitude can be singular or plural, which should it be, and why? The team was, or the team were? The jury finds, or the jury find? Your decision depends first on whether you are writing American or British English. The plural form is more common in BrE (The press have reacted swiftly), though the singular form is also standard (The Government anticipates). The singular form is more common in AmE (The press has reacted swiftly). But these are mere generalities; there is considerable variation. Sports teams usually take the plural in British English (the team were deserving winners; Liverpool are beating United), but in business contexts and AmE they can just as suitably take the singular (Manchester United is a wealthy club; Baltimore beats Browns). Singular and plural forms (returns and its, or return and their, respectively) are both standard in BrE; the singular form dominates in AmE. Both are fine. The singular (has and its) is acceptable, but suggests a unit agreeing with itself, whereas the plural (have and their) suggests round-the-table agreement by all the members of the committee. This connotation makes the plural the better choice. Subtle distinctions sometimes accompany the verb, and might help you decide whether singular or plural is preferable. If it doesn’t clutter your syntax, you can elaborate for the sake of accuracy and clarity, e.g. by referring to the Cabinet as the Cabinet members, or the members of the Cabinet, both of which are plainly plural. This tactic is less likely to work if the collective noun appears frequently, because it would lead to the aforementioned clutter. And you won’t see it in a headline, where concision is paramount. The family is well and send their regards. The family as a whole is [are] well, and the people in it send their regards. Were the family to send its regards, it would seem less personal. Of the three words commonly cited as a plural for octopus, octopuses is the preferred term. The others are octopi and octopodes (pronounced ok-TOP-ɘ-deez, or ɒk’tɒpədiːz in the International Phonetic Alphabet). Fowler’s third edition claims that the only acceptable plural is octopuses, and that octopi is misconceived. Fowler’s second edition is still more blunt, calling it wrong. Perhaps, but octopi has been used by many reputable publications and raises fewer eyebrows than octopodes. The popularity of octopi, however, seems to be waning on both sides of the Atlantic. Fowler is not alone in rejecting octopi; some linguists do so on the grounds that octopus was not originally a Latin word but a Greek one – hence the pedantic plural octopodes, which is rarely if ever seen outside dictionaries, usage guides, and blog posts such as the one you are reading. Merriam-Webster’s Dictionary of English Usage counters that octopus was imported not from Greek but from New Latin, which took it from the Greek oktopous. This gives octopuses a grammatical edge over octopi, as well as historical precedence (original citations in 1884 and 1922 respectively). If you want to use octopus in the plural, choosing octopuses should forestall accusations of inaccuracy, irregularity or obscurantism. And if you want a break from etymology, here’s an octopus being amazing. Some commentators have described its remarkable communication strategy as a way of wearing its language on its skin.